Spyderco C36 Military: from G10 to Titanium, 15 years of excellence. “Gene – Thank you. The Military Model was designed to be the ‘state of the art’ production folder of the time. We believe the 2nd generation version is that. Every one of the many parts in this model was examined and refined. We listen to all of the comments (good and some negative), but our own constant testing enforces our beliefs. We believe that nested liners are more evolved and stronger than separate liners. And more expensive to produce. 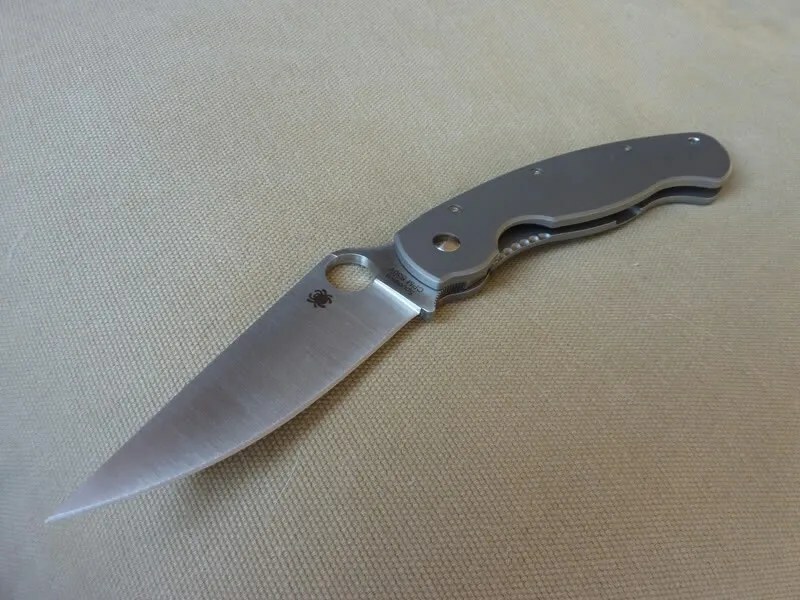 (Ask for favorite custom maker how much more they will charge you to nest their ‘full liner’ just inside the scale like Spyderco’s Military). ‘Form’ in addition to the ‘pins’ create rigidity. It may be possible to ‘white knuckle’ a lock release, but this hasn’t happened to our knowledge. 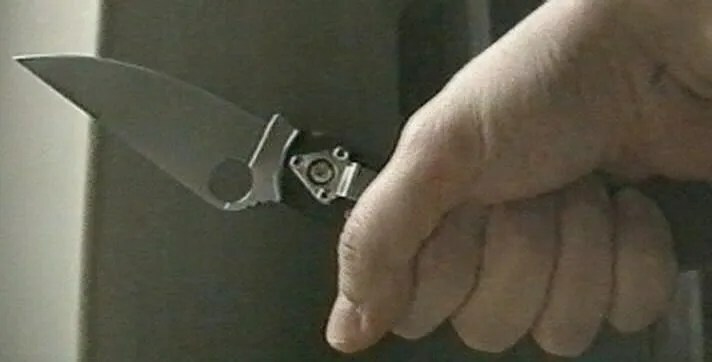 Being able to easily close the knife after hard user with gloves on was a major consideration. Any of you that have had a folder lock open and not be able to close it? It’s like a chain saw that won’t stop . . . what do you do with it? The new ‘SecurLok’ that Frank Centofante invented is scheduled to be added to the Military Model sometime in ’99. This would eliminate the fear of accidental lock release. Given what’s available in current production the G-10 Military is a hell of a bargain and more than adequate for daily duty……and SV30 takes a great edge, and will hold it, even with lots of use, for at least a week. What’s it take to put a good edge back on a SV30 Millie with a Sharpmaker ? ?….a few minutes ? Heck, put a convex edge on that knife and you can strop it on the back of a piece of cardboard and bring the edge “back” even faster. How important is it that your knife blade go a month until you sharpen it ? If titanium is to your liking, the Ti Millie is a work of art ! 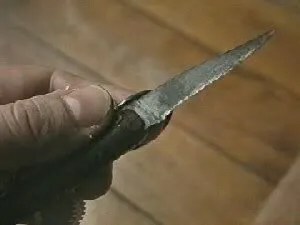 “The millie’s only a big knife for the first week, then all your other knives are suddenly too small. WWI was the first war with enough media coverage for people to discover how much a knife can be a useful tool for the soldiers. “The Military Model is really feather weight and thank to that, for the first time since a really long time – since 5 inch Cold Steel Voyager was released – we are carrying a big folder.) It’s the first time we could really trust a linerlock. This is one of the rare linerlocks that survived our really hard tests. It’s easy to see the hollow ground side where the liner comes to lock against the blade. Michael Walker, the father of the “Liner Lock,” is involved directly in the improvements noticed in Military. So, like we said, Military is one of the rare big folder that gives enough confidence for us to carry on a daily basis. Now that we handle our C36, we really enjoy them. Understand this simple facts: it’s light, big, and reliable. Why do we love this knife now? Because it’s a beautiful knife ? We have seen so many so called “tactical” craps. How serious the design of the Military Model appears immediately at first sight. No useless cosmetics: this is the M16 of knives ! But first let’s have a look at the handle: it’s a “real” handle! This is enough rare to be noticed: its handle is the handle of a tool destined to be used. That extra inch gives a real grip and you cannot lose control of your knife, unless you are clumsy “like a seal” ! Have you ever seen many knives with this kind of long ergonomic handle? 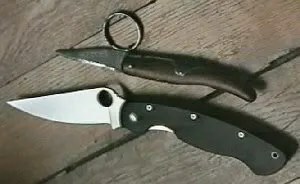 The Rescue (from Spyderco) and the Voyager (from Cold Steel) also have one. On the other side of the handle where is the blade: there is some kind of false guard integrated to the blade where you can apply direct pressures on it without putting excessive force on the handle and the lock. Even the large clip mounted on the handle is not messing with your grip. The G10 handle is really strong. You can trust us about that point. We have used G-10 since 1993. We have even made blades of G-10, even G-10 balisongs and stealth folders. It is really a strong and light material. We have hammered it without any problem. This combination of Fiber Glass and Epoxy is almost made to be bullet proof ! The liner lock, as we said, is excellent (despite our efforts to break it and make it fail). It’s easy to think that most folders are only made for light chores and are not designed for combat, chopping, or other hard chores. Folders are often considered as “city knives,” but the Millie has such a reliable lock that you can use it for hard chores without any pity for it. Now about the C36 blade. We would like to advise Spyderco to stop drilling these big holes in their blades! Their hole is too small for our fingers to get in and too big to be soap bubble proof. But we noticed that we can use the hole to open the blade really fast. 🙂 It’s a pure joy! 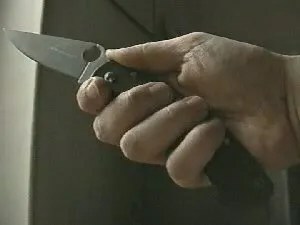 When your knife rests in your pocket, you just have to pick it up by the hole in the blade and with a flick of the wrist, the knife is open and ready. The C36 is really easy to open just with a flick of the wrist!!! No need for any “torsion spring.” Why do we need the automatic? Sal would say. That C36 was designed as a utility knife and this is a proof of real wisdom from Sal. But let’s not forget that a good tool is often an excellent weapon also. Dirty fighting is only another chore after all. The Military is also a good self-defense knife, because it opens really quickly, thanks to the hole and the smooth action. And, as we said, the lock is a rock! The long handle improves your reach, and the slashing ability of this tool is outstanding! You can thrust it, because you trust it. A thrust with a folder is not our favorite move. In this case, we prefer the hammer grip with the edge UP, because the lock is far from our fingers. Just try to hold Military with the edge up, and you will feel a formidable thrusting weapon in your hand. If you don’t have possibility to carry a fixed blade or a balisong, the C36 puts its reliability in the balance. It’s so easy to forget where you clipped your Military, when you cannot forget where you try to hide a fixed blade with the same reach as the Military. Cutting power? We are not aficionados of so called “super steel.” The type of steel is not the most important part of the blade. The geometry and the heat treatment are two much more important points. But we think CPM440V is a really good steel, because we have always been satisfied with this steel in our own made knives and other makers knives. Piercing bullet proof vests and performing multiple rope cutting tests were part of our tests and CPM440V is excellent! The only thing is not to have it harden to high rockwell number. RC56 for CPM440 is even not necessary. In mechanics, soft can often erode hard. 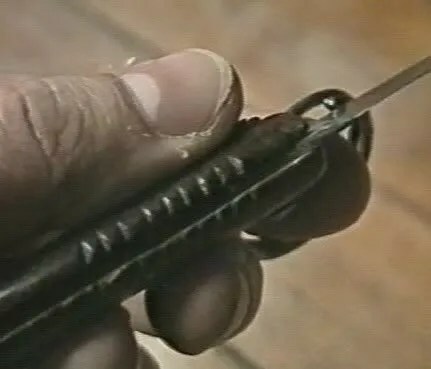 Also when a knife is too hard, the edge will be hard to re-sharpen, too much of a hassle for not such results. When it is around HC61, it becomes painfull to re-sharpen and is really prone to break. With CPM440V, we have a really good alternative! It cuts a very very very long time and is easy to re-sharpen, because we don’t always have a back stand to re-sharpen our knives (after one entire week of using Military, one minute with a ceramic rod was enough to give it its razor edge back!). There is no way we don’t love CPM440V, and it is no surprise that excellent knives like the Panama Fighters by Sean MacWilliams made of this steel are so good. The only problem with CPM440V is the high difficulty and cost of heat treatment (at least in Europe). Sometimes, we would really like to borrow Sal Glesser’s heat treatment machinary for a moment. 🙂 CPM440V, like VG-10, is a very important stainless steel, but we don’t believe in mystic super steels! We already tested some crappy CPM440V knives, even some designed by famous designers! Spyderco knows how to heat treat their blades, and their designs are good in the first place. Something really important: Military is not a NEW knife. It’s a knife in perpetual metamorphosis since 1996. You see now it’s harder, stronger, improved, redesigned and eccentric ! 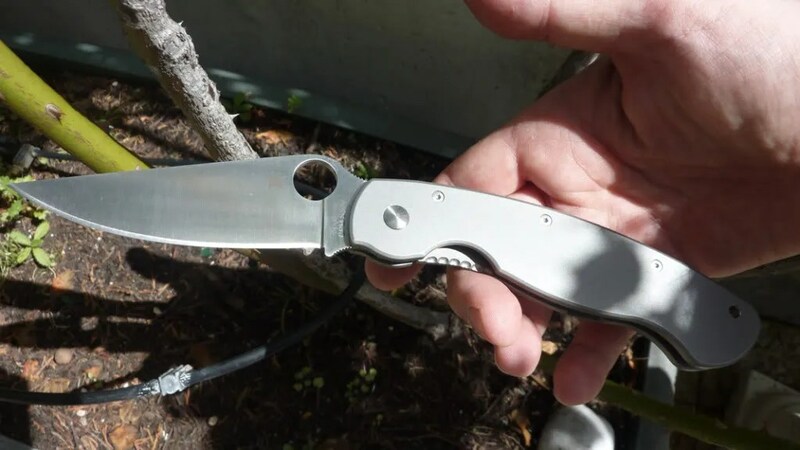 It shows us that, despite the fame of Spyderco products gained through the years, Sal Glesser and his Spyderwomen/Spydermen are always listening to critics and are searching to improve their products. This is so rare ! 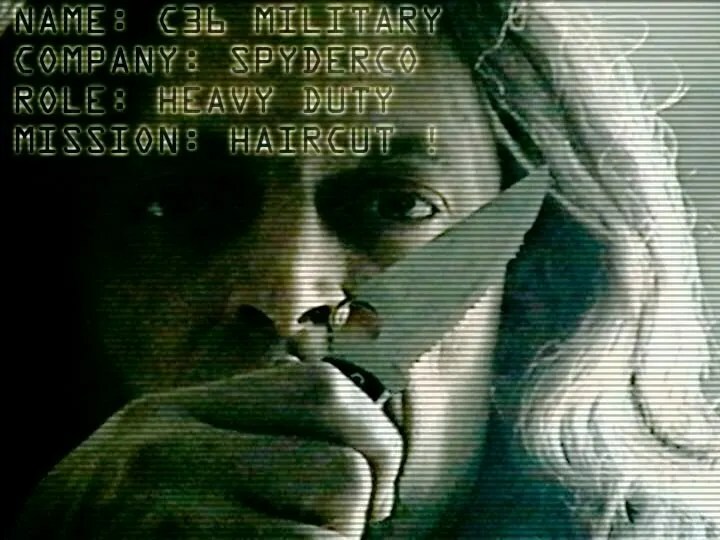 The 1999 Military is now a second generation knife. It acquired this kind of mega-reliability by standing on the giant shoulders of its 1996 fathers. You can trust people who want to improve things and believe in Quality before Quantity. A good idea is like a good wine: it gets better and better with age. Some people would like a smaller Military. Why not? But we feel it is not necessary. 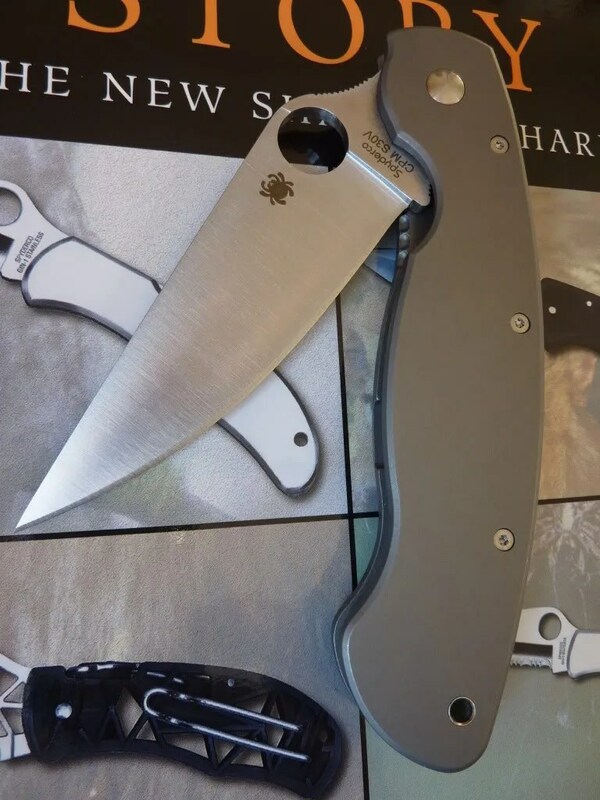 Spyderco offers so many great smaller designs (check C61, C62, and C57!!!). We think for a tour of duty, the C36 Military Model has a perfect size. What is Nemo’s grandfather’s personal knife? I’m looking into getting a trad full wooden handled knife. I edc a case peanut, an opinel 7, and a gec 861212. Btw this review got me to buy a military, I’m waiting for the ti version to buy another.